Pirates & Privateers : To reply to a game at school, 1.What did pirates hide in the sand? 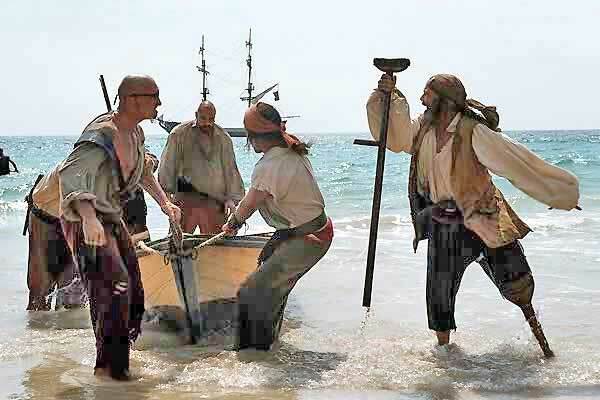 2.What operation should incoming pirates perform on a dock side in order not to fail? 3.Where are the toilets on a boat? 3. On a small ship there are none, they do it overboard. On the largest ships the toilets are at the bow (front). A good example is written about Blackbeard. © Photo : the french movie "L'île auX Trésors"